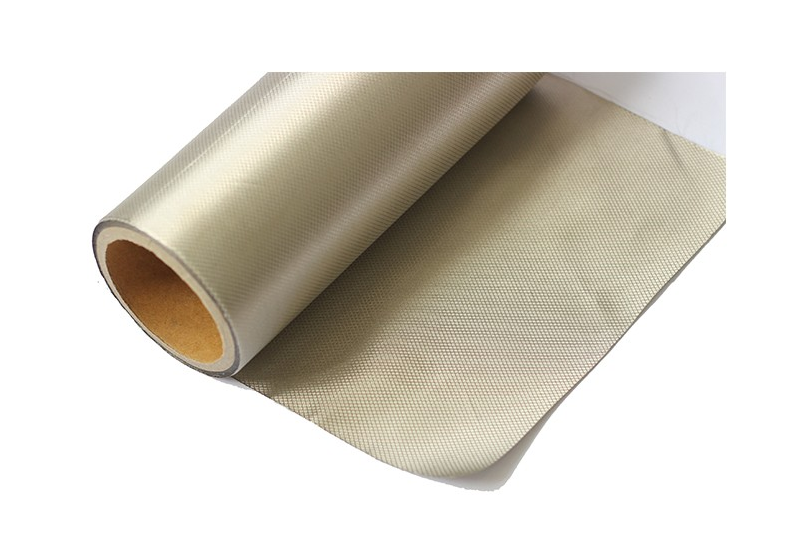 Conductive fabrics are made of Copper Nickel mental and Polyester fiber. The mental elements would prevent the radiation coming through the fabric. Radiation is the emission or transmission of energy in the form of waves or particles through space or through a material medium. The fabric has the mental elements which could shield the radiation effectively.